Facebook page calls for revenge, death of Jewish father who saved 25 children from violent Arab mob on Thursday. A picture of the father who saved 25 children from an Arab mob on Thursday was published on Kafr Qusra's Facebook page. The mob attempted to lynch children from Samaria, who left for a planned Bar Mitzvah trip approved by the IDF near the Samaria town of Migdalim. The accompanying parents, who were acting lawfully as armed escorts, shot at the Arab terrorists, killing one of them. Most of those in the Arab mob were from the Palestinian Authority town of Kafr Qusra. In Arab settlement's Facebook post, the Jewish father was described as the "murderer of the tortured and holy resident of our village." The post received many likes and shares, with comments cursing him and calling for revenge. 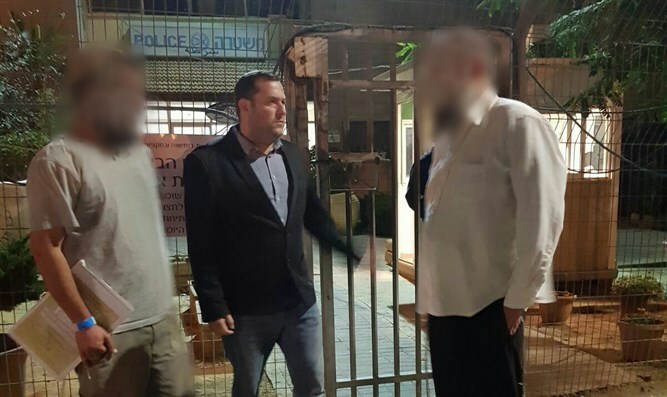 Honenu attorney Menashe Yado sent an urgent letter to Judea and Samaria police, urging them to ensure the post is removed from Facebook and calling on them to punish the inciters. "Today, a photo of ** was published on Kafr Qusra's Facebook page, 'Qusra Now.' This is the picture. The caption under the picture calls him the murderer of a tortured holy soul. This page is swamped with murderous responses against ***," Yado wrote. "I would like to ask you: a) to work immediately via Facebook to remove this dangerous post, b) to immediately work to arrest those who published the post and bring them to trial. This is a concrete threat to human life. Your response is urgently needed. "There is a culture on the internet which allows calls to murder, or permitting a person's blood to be spilled. We must eradicate this concrete threat by stopping this dangerous channel of action."